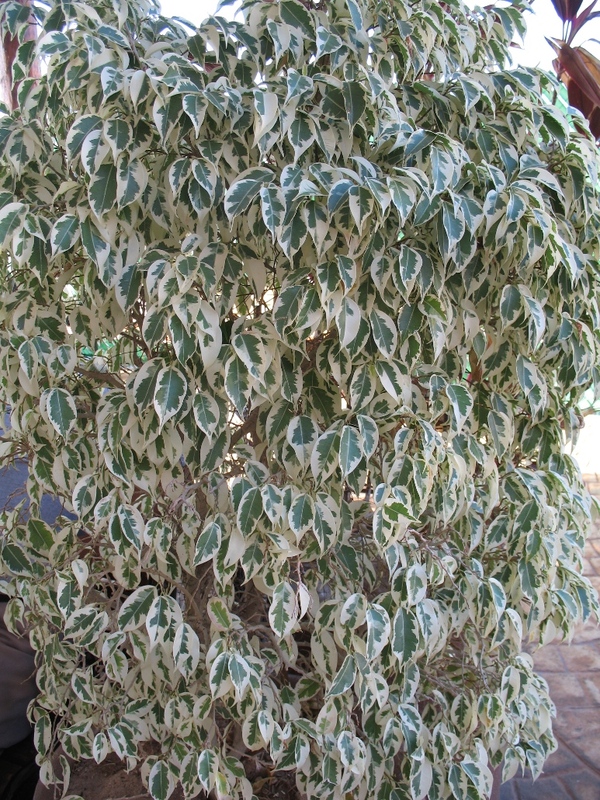 Comments: This variegated selection is becoming quite popular because of the green and white leaves. Growth is somewhat slower than the regular solid green foliaged selection. Pests include the same ones that attack the solid green foliage weeping fig, These include aphids, mealy buds and scale insects. For container plants provide a moist, well drained medium and keep the soil slightly moist to the touch. Leaf drop is problem where trees have not been acclimated to a lower light regime and where there is insufficient natural light. All of the house plant figs can tolerate conditions with rather low light, but perform best if they receive several hours of natural light during the day.